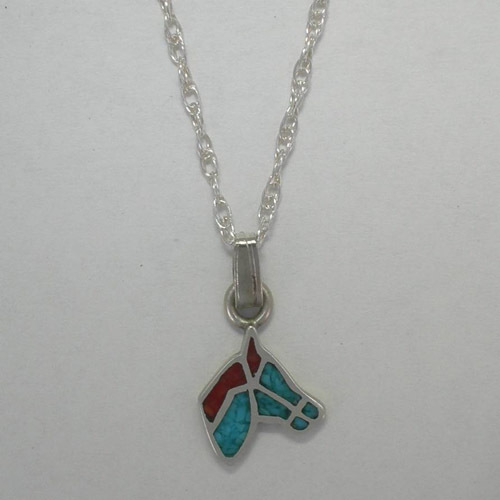 Desc: Sterling Silver Turquoise and Coral Horse Head Necklace. 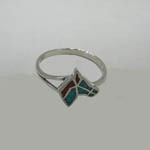 The horse head contains Turquoise mounted in the head and neck of the horse head. The Coral is mounted in the mane portion and ears of the horse head. The chain is a rope link design and has a spring ring clasp. The necklace has a bright polish finish. 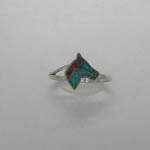 We have a matching ring, see SK1015.